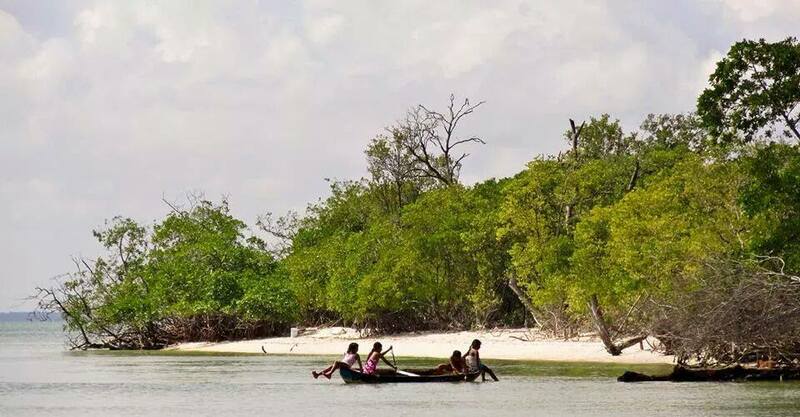 Delta de Casamance in Senegal. 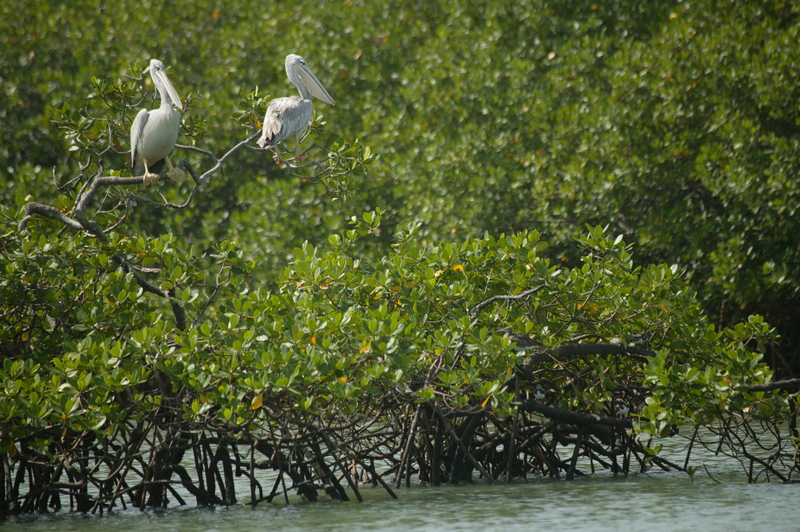 Coastal mangroves act as natural safeguards against disasters. Wetlands cover a range of ecosystem types such as lakes, rivers, floodplains and coastal mangroves and they provide a range of important services for both people and the environment. They act as natural safeguards against disasters, which makes them important for protecting communities most at risk and vulnerable to the devastating effects of floods, droughts and storm surges. It is a matter of great concern that the frequency of natural hazards worldwide has more than doubled in just 35 years. The Intergovernmental Panel on Climate Change (IPCC) predicts more extreme weather events as the effects of climate change are felt around the world, while according to UN-Water, some 90% of all natural hazards are water-related. Well-managed wetlands make communities resilient in the event of extreme weather and help to minimize the damage from these hazards. 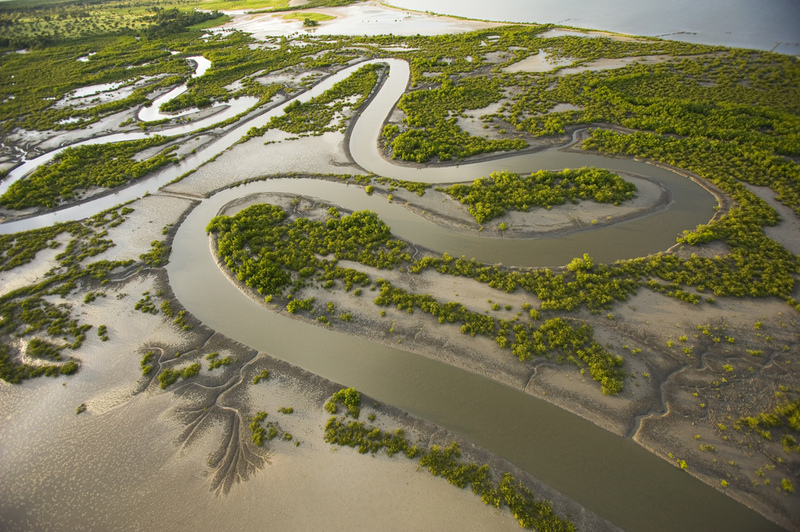 Coastal wetlands such as mangroves protect against flooding and serve as buffers against saltwater intrusion and erosion. Inland wetlands such as floodplains, lakes and peatlands absorb and store excess rainfall, which reduces flooding as well as delaying the onset of droughts by storing water. 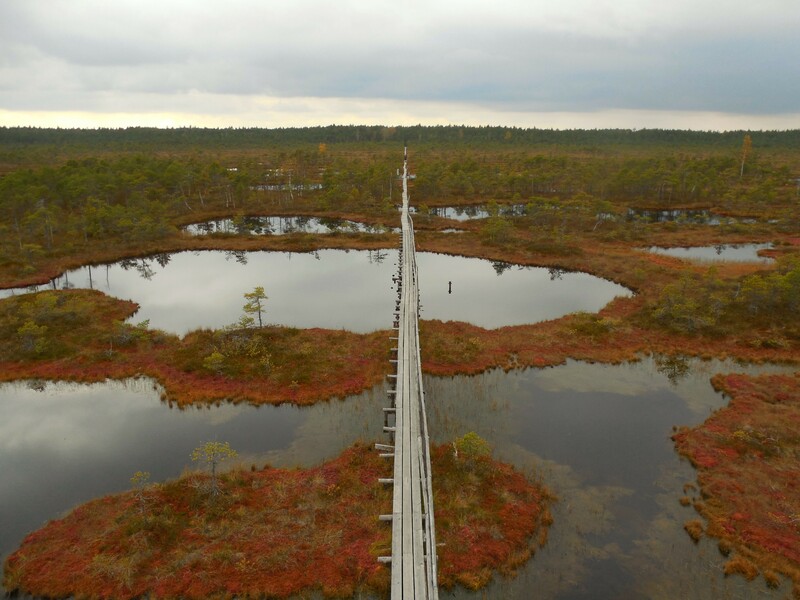 Peatland in Estonia. Inland wetlands such as floodplains, lakes and peatlands absorb and store excess rainfall, which reduces flooding as well as delaying the onset of droughts by storing water. However, wetlands are being destroyed or degraded faster than any other ecosystem. Latest figures show that 64% of the world’s wetlands have disappeared in the last century, and that every year we lose 1% of those remaining. Wetlands are drained or degraded to meet the increasing demands for water and land to cater for agriculture, industry and a growing urban population. It is crucial that more voices speak up for wetlands, more people become informed of their value and more decisive actions are taken to conserve and restore this valuable ecosystem. Each year, the Ramsar Convention on Wetlands celebrates 2nd February as ‘World Wetlands Day’ to raise global awareness of the importance of wetlands and the need for their conservation and wise use. We seek to mobilize global actions that will lead to the conservation, restoration and sustainable use of all wetlands. We have registered over 1,000 events taking place around the world to celebrate World Wetlands Day under the theme of Wetlands for Disaster Risk Reduction. This theme has been chosen to focus attention primarily on the role of wetlands in reducing the risk from disasters resulting from flooding or droughts. But wetlands are also vital because they provide food for more than three billion people worldwide and are a source of freshwater and livelihoods for over one billion people. They are also crucial for adaptation to and mitigation of climate change. Sustainable development cannot be achieved if we do not take decisive action for their conservation. We encourage policy-makers, experts and community leaders to consider wetlands as extremely cost-effective, win-win and no-regret solutions for disaster risk reduction. Decision-makers should make significant efforts to integrate wetlands in cross-sectoral disaster risk reduction policies and strategies. Wetlands as extremely cost-effective, win-win solutions for disaster risk reduction. Following Hurricane Katrina in 2005, the State of Louisiana and City of New Orleans adopted a multi-pronged approach to increasing resilience to sea level rise, hurricanes and river flooding. One of the key protection measures has been to restore wetlands as buffers between the sea and the city. In China’s Hubei province, lakes and marshes have been reconnected to the Yangtze River to reduce flood impacts. In addition, restored wetlands have led to an increase in fisheries and improved water quality for the communities living around these ecosystems. In Senegal, the Biosphere Reserve of the Saloum Delta is a protected site because it is located in an area of estuaries, lakes and marshes. It controls flooding and makes sure that communities have access to fresh water throughout the year. For World Wetlands Day 2017, the Ramsar Convention Secretariat has assembled a range of information materials to support country activities and highlight how effective wetlands are in reducing the risk of disasters. They can be downloaded from http://www.worldwetlandsday.org/. These support materials and our work to mobilize action across the world is possible thanks to the support of the Danone-Evian Fund for Water, which has supported the Secretariat since 1997. We invite you to visit a wetland, get to know the communities that depend on wetlands and learn how they wisely use this ecosystem. Parties to the Ramsar Convention have designated over 2,250 Wetlands of International Importance or ‘Ramsar Sites’, which are protected for the benefits they provide to the country and the world. To encourage the participation of young people, we are running a photo competition from 2 February to 2 March, which is open to anyone from 18 to 25 years old. They are invited to submit photos of the types of wetlands that help us cope with extreme weather events to the World Wetlands Day Website. The winner of the photo contest will win a free flight to visit a Wetland of International Importance, courtesy of Star Alliance. Join us as we promote actions that lead to the conservation and sustainable use of the world’s wetlands. They provide multiple benefits, and act as buffers against the effects of extreme weather events. Help us spread the word on how vital wetlands are. Happy World Wetlands Day 2017!